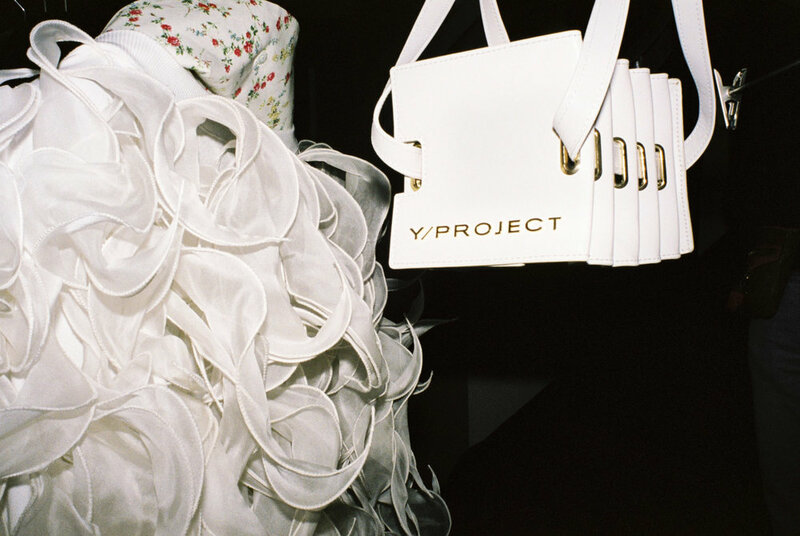 This season Y/Project further established itself as the bleeding edge between streetwear and prêt-à-porter. Cable-knit, tartan, and encrusted pieces made their way down a red carpeted runway. Rather than its usual dramatic volumes, this season the Parisian House looked to simple manipulations. However exaggerated proportions were not left behind. Instead, they were grandfathered. Glenn Martins continued to focus on gesture—the way our clothes cover and posture us—much like the way you wear your pants changes your whole attitude. For example, the skirt-pant hybrids. We sew skinny body cons on one leg and a fluid and voluminous skirt over the other. This created a blended disproportion. And if the way you wear your pants changes your attitude, at Y/Project, clothing is about the way we carry ourselves. 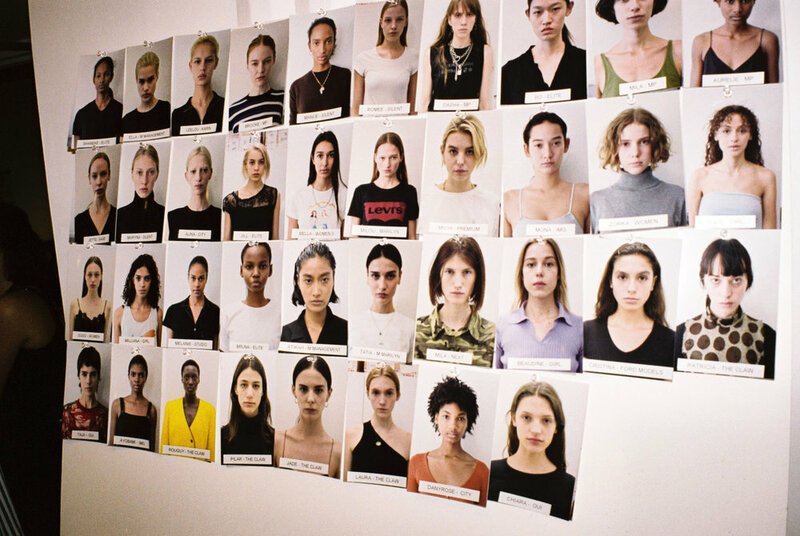 The looks felt more like simple canvases while accessories added punctuation. Additionally the Summer collection offered a debut of handbags as well as Linda Farrow Eyewear collaboration. Deep plunging bustiers, accordion-style leather bags, patchwork paisley boots, lucite clutches, and large silver collars were as intellectually appealing as they were desirable. 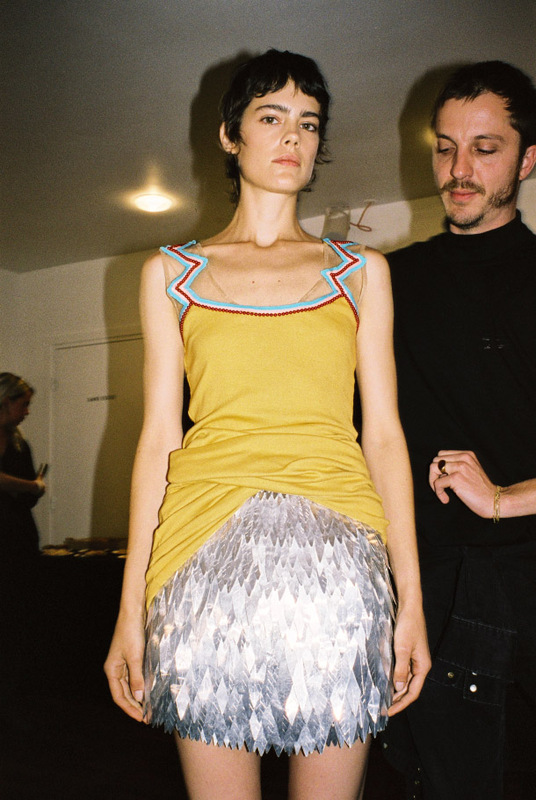 Stylist Ursina Gysi’s hand was effortless. Iterations of past collections’ shapes were carried through. We saw slouch boots, but now, introduced in a monochrome look with easy jersey tops. She played with textures more than ever. All while keeping a profile that was much more a-line and slim than past collections. The collection was a lovely example of Martin and Gysi’s alchemical abilities to take traditional dressing cues and turn them into something strangely great.